With the Mexican-American population in the U.S. and an increasing middle-class society in Mexico, this renewed message of cooperation between Texas and Mexico many hope will end the a historical distrust between both nations. More importantly, a consistent steady economic growth, low birthrates, and the rise of middle-class in Mexico are beneficial for Mexican-Americans in the U.S., politically and culturally. 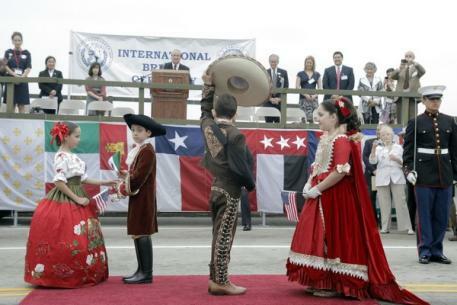 With the combined Mexican-American population in the U.S. nearing 40 million,and in Texas alone 90 percent of Latinos are Mexican-Americans; and Mexican-Americans could play a key role in building stronger ties between the U.S. and Mexico, since both Mexican-Americans and Mexico have a common culture and religion that may help harmonized free trade, economic and conjunct regional policies in Latin America. I am not suggesting that Mexican-Americans in Texas, or any other state will want to become citizens of Mexico in the future, that view exists only in the minds fanatics like David Hanson from the Hoover Institute and Pat Buchanan who make a living arguing that Mexicans immigrants and Mexican-Americans are to blame for the fall of America’s moral and civic culture. What I am suggesting is that Mexicans and Mexican-Americans are one people in two nations/states. As a result, they are separated by their national identity but connected through history, religion and to some degree by language. Moreover, there are very important distinctions between Mexican-Americans in the U.S. and Mexican in Mexico. Americans learn that our civic culture and history comes from Constitutional norms such individualism, states’ rights, The right to bear arms; and theses are values that come from Protestantism inherited from Britain and the political theories of Hobbes, Locke and Rousseau. And Mexican-Americans in the U.S. are naturally imbued with these cultural Protestant values – civic and forms of government. Conversely, Mexican citizens have different set of Constitutional rights that do not emphasize individual rights, states’ Rights, the right to bear arms, or even capitalism. Mexico’s political values are based more on fraternal, and to some extent paternal, ideals where the state is all mighty and where the rights of individual, or states, are secondary to need of state to build social and national cohesion. As a result, Mexico operates more as modern European state with no states’ rights, rights bear arms and where citizens de- emphasize individualism because they never were taught about the concept of Locke or Hobbes, but only the revolutionary political theory of Rousseau inherited from Catholic countries such as France and Spain. Therefore, Mexican-Americans, whether 5th or 2nd generation, should engage to develop stronger bonds between Texas and Mexico since they may be the ones who benefit more from it. An ascending Mexican culture (or a high culture–i.e. religion, philosophy, etc) in the U.S. can be a source of political power for Diaspora ethic groups, as it was the case for ethnic groups like the Irish and the Jews. In other words, economic, cultural, or military, strength in the ancestral homeland bring pride to groups here in the US, which can translate into political power in American politics. Irish American used such power to free Ireland in 1919 and force Britain into a Peace Accord in Northern Ireland in 1994. Similarly, Jewish-Americans became embolden about their Jewish identity after the “six-day-war” in 1967 and the Jewish intelligentsia and elites successfully pushed for dual American and Jewish identity. So Mexican-Americans, conservative and liberals, should also help Mexico to develop its economic and culture where they too can find pride in it. Moreover, the nature of America as a nation of immigrants from different corners of the world has resulted in the development of a hyphenated identity as coping capacity in the U.S. as polytechnic plural nation, in which dual identity is accepted and sometimes encouraged as long inherent American civic religiosity trumps others loyalties. Historians have written about How Martin Van Bouren, was the architect of the “Irish bloc”, by recruiting Irish Immigrants in the South, supporting the Repeal Act in the UK, and supporting unions in the North. By massively enfranchising Irish immigrants, the Democratic Party gave rise to the “Irish bloc”. Initially, the Irish saw their political participation and integration socioeconomic terms. So, they developed a nationalistic ideal based on anti-British sentiment, in other words, Irish nationalism was invented in America. While the Irish in Britain were constrained by a caste society, hegemony, and constitutionalism, the Irish in the America had been liberated by republican ideals; and the development of Irish nationalism in America was to be carried in the development of Ireland as well using the powers of American government. But because the inherent American civic religiosity, the Irish proved adept in constructing such subculture as Irish-Americans. Thus, the Irish were emboldened by their adopted homeland to carry republicanism a violent attacks across boundaries into the UK, which created American pride at home. But by the turn of the 20th Century, the lessons of the past no longer relied on revolutionary rhetoric and the Irish resorted to the democratic process to seek an independent Ireland by forcing Irish-American political to reject the Versailles Peace Treaty of Wilson in 1919 since the independence or Ireland was no included in the Treaty. American rejection of the Versailles Treaty was not a struggle between Democrat president Woodrow Wilson and the Waspish Republican Senate. It was the struggle between President Wilson who disliked the revolutionary methods of “Irish race” and who wanted the independence of Ireland at any cost. As a result, in the 1919, when the ethnic Irish-American became bitterly angry over the Peace conference since the independence of Ireland was not included, the “Irish bloc” openly opposed the treaty and, and in concert with the Catholic church, Irish cultural centers, and unions launched a campaign again president Wilson ‘treaty, which ultimately failed ratification in the Senate since Democrat senators representing states did not support the Treaty. Similarly, the Clinton administration involvement in Northern Ireland, which created the Good Friday Accord, was the culmination of a long period of lobbying by the Irish-America Groups. The Clinton administration was taken by a “new groping of Irish agenda.” But this process started when Clinton visited Belfast in November of 1995. 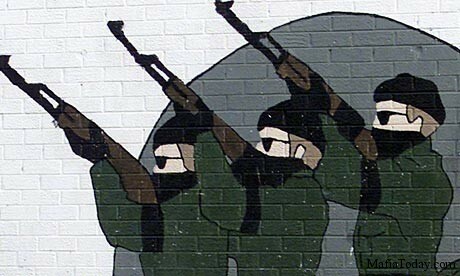 It was shortly after the visit that the IRA was willing to declare an end to the hostilities. Previous administrations had been engaged in conversations over Northern Ireland, but Clinton went much deeper than any other president due political pressures from Irish-American groups and the re-election camping of 1996. The Irish-American Lobby in Washington finally had found a political environment and Democratic president whom they could pressure to meddle in the foreign conflict and negotiate and peace treaty under the auspice of “peace.” However it was the “Irish new agenda”, and combination with the IRA, who set the rules of the treaty and forced the British into the treaty. Leading Irish-American politicians, like Ted Kennedy and John Kerry, Tip O’Neil (speaker of the House) occasionally issued strong statements against Britain, and the Speaker of the House made several visit to Ireland condemning Britain. Clinton went as far as granting a Visa of known Irish terrorist Gerry Adams, the Sinn Fein leader. It also well known that the Irish-Americans financed the revolutionary movements of Michael Collins in1917, and the IRA militia movement. 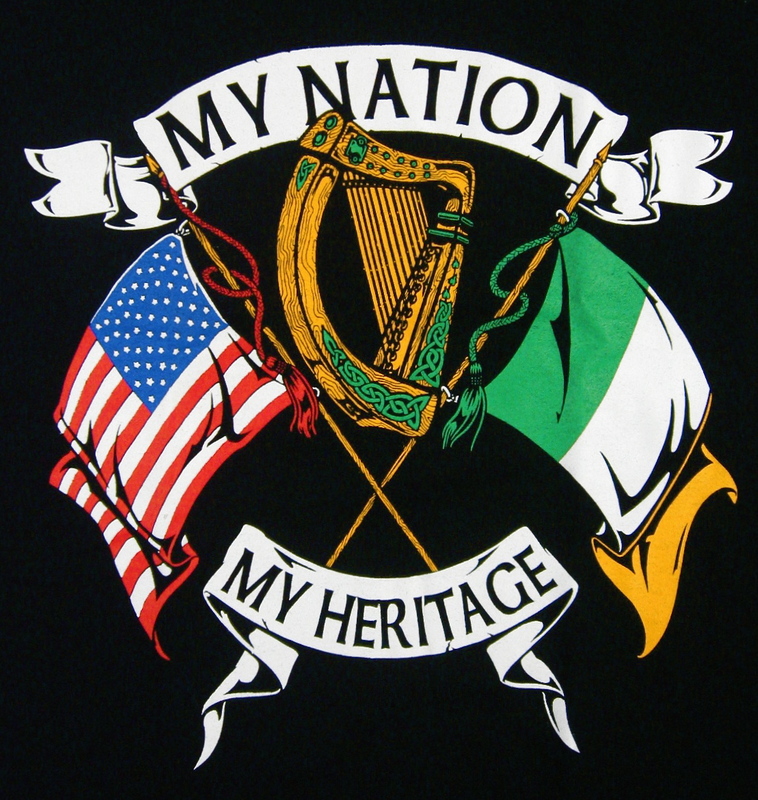 But Irish-Americans are not the only ethnic group capable of creating and lobbying for policies that benefits their ancestral homeland with a new nation. Just as the Irish perfected this method, it took political maturity and sophistication for the America Jews to garners power in the political process to find their fraternal spiritual bond with Israel where national identities transcend boundaries. Jewish-Americans are among the most influential and successful political ethnic group that have been able to push for economic policies and cultural religious ascendency that have enhanced the political clout on Jews in American and the economic and military strength of Israel in the Middle East. This close partnership was developed only after the “six-day war” in 1994. After the “six-day-war, Israel could no longer claim isolation and a vulnerable life, it no longer utilized the notion of a weak military state; and the American Jewish elites made sure that by rekindling the memories of the Jewish people and the Holy Land. Under this new “Strategic Plan”, Israel would still receive military and economic aid under the idea that it was in the best interest of the US to strengthen Israel militarily and economically. Preventing another Holocaust, thus became the purpose of the military and economic aid to Israel. And of Jewish-American elites and intelligentsia utilized the media and political influences to frame the “special relation” between the US and Israel as natural bond. As a result, Israel became a major social symbolism in American life for both Jews and Americans. 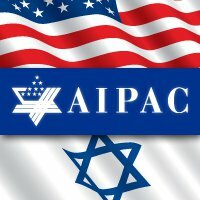 The American Israel Public Affairs Committee (AIPAC) has also played a successful role in American intelligentsia by disseminating and molding opinion in which Israeli and Americans are the same people with two nationalities. AIPAC established leadership programs for pro-Israel professors and students under the democratic values to promote the American values in Israel and while AIPCA become the chief promoter of Israel cultural and economic interest of the Jewish-Americans in the US. Consequently, Jewish –Americans succeeded in making Americans embrace the Jewish and Israeli cause as their own after the ‘six-day-war”. Can Mexican-Americans Build Up The Power Like The Irish And Jewish-Americans? If indeed ethic groups like “Irish bloc” and AIPAC are proof that effective political mobilization by Diaspora groups can even create Independent new nations, why are Mexico and the US still fight about fences? If history was a predictor, one could conclude that Mexican-Americans in the US–following the same successful path as Jews and Irish to help their ancestral homeland–should have already helped mitigate and settled the long distrust between the US and Mexico. When Irish reached their pinnacle of power in 1994–by forcing Britain by through members of the U.S. Congress in 1919 and 1994, their population numbers in the US was about 40 million. That is the almost the same amount of Mexican-Americans, whose generations often can be traced back 100 years or even 150 years. Additionally, just before the addition of Ireland to the EU in 1980, Ireland had been a third world country for most of its history. In essence, the current economic condition of Mexico is much better than that of Ireland in 1919, when Irish-Americans successfully sabotaged the Versailles Treaty. So why have Mexican-Americans used their power to strengthen ties between the US and Mexico the same way Irish-Americans did with Ireland and Northern Ireland, even if sometimes it meant angering our perpetual friend, Britain? Furthermore, Mexico already has been a success story since trade between U.S. and Mexico reached $½ trillion dollar,so why are Mexican-Americans in the Republican Party not talking about this when Mexico by far is more economically important than Israel. trade between the U.S. and Israel is only $17 billion yet it is well known AIPAC has more political power with members of Congress than any combined Mexican American lobbing groups or Hispanic/Latino Republican political group. Furthermore, and unfortunately, it appears that Mexican-Americans can’t even get cohesive policies towards Mexico, whereas Irish and Jews have been able to build new nations for their “races” using the power of U.S. government and Plural Democracy – competition for power among political groups. 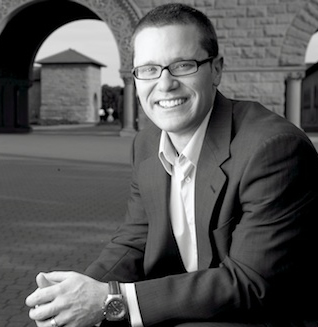 The answer is simple; Irish and Jews in American have embraced their past as Diaspora group to build power around such Diaspora ideology while Mexican-Americans internally still debate about their place in this nation as Americans, or as sub-group of Americans that still arouses suspicions of dual-loyalties if they claim to be Mexican-Americans. Despite the fact that they were here before the masses of poor Jews and Irish set foot in this land, Mexican-Americans are still perceived as guests in America. So Mexican-Americans are doing the opposite of what Jews and Irish did to acquire political power. The Irish utilized their hatred of the British to create a network of Catholic and political/cultural centers to rally voters and their breakthrough came after WW I. Jewish-American intelligentsia and elites used their religion to turn the state of Israel into Judeo-Christian entity with American values, and thus, making Israel part of military American “strategy plan” in the Middle East after the “six-day-war.” So in the 20th Century, in America, there was the idealized notion of Teddy Roosevelt, that immigrants and their offspring must have only one allegiance, but there is also the other real America where ethnic groups asserted their cultural identity. This is the reason why thousands of Italian-Americans were imprisoned during WW II, after the Italian-Americans created a social movement in support of Mussolini after the invasion of Ethiopia in 1935. So what can Mexican-Americans do to link the interests of the U.S. to the economic and cultural development of México? 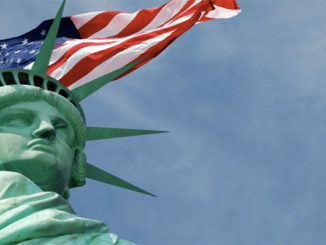 First, Mexican-Americans still do not have the cohesive political and cultural influence that Jewish-Americans, through AIPAC, or the Irish-Americans Lobby, have because they keep allowing other groups to set the cultural and political agenda of “Latinos.” As a result, rather than embracing their past and history, Mexican-American identity is diluted and put in a limbo where a Supra “Latino” identity supersedes their “Mexican-ness,” and thus, diluting the power of Mexican-Americans. Additionally, of the total population of Mexican-Americans of almost 40 millions, 60% are under 25% year of age. Yet, older generations are not proving the necessary tutelage to create a degree of High Culture that elder Irish and Jewish political and intellectual leaders instilled in younger generations of Irish and Jewish-Americans during the fight for Ireland or the “six-day-war” (teaching young Mexican-Americans that they are a “minority” or “poor brown people” is not High Culture, as some Liberal progressives want to argue, but rather Marxist Chicanista concept born in the 1960s ). Thus, teaching a High Culture can be beneficial for both Mexican-Americans and Mexicans. While the Irish and Jews used religion and history to develop ethnic awareness and to empower young American cohorts, Mexican-American often seem unwilling to talk about their history. In other words, Irish in Ireland, America and Northern Ireland are separated by national boundaries, but at their core, they are one people. Similarly, Jews in America and Israel are separated by an ocean and national boundaries but are also one people as well. And, conservative culturalists like David Hanson cannot claim that American Jews and Israeli –or Irish and Irish-Americans–to be the same people, but tell Mexican-Americans to abandon their Mexican-ness and history. How illogical is that. But Mexican-Americans need to understand that had Irish or Jews been shy, or insecure, it would have taken another 100 years to for Ireland to be free. Or Jewish-Americans had not asserted their Jewish identity, the US would have never felt obligated to incorporate Israel as an extension of the US in the Middle East. But Jimenez also points out that Mexican Americans, through everyday experiences, reveal that their ethnic identity is connected to contemporary Mexican immigration in ways that make that identity simultaneously more beneficial and costly. Mexican immigrant replenishment provides the means by which Mexican Americans come to feel more positively attached to their ethnic roots. But it also provokes a predominating view of Mexicans as foreigners, making Mexican Americans seem like less a part of the U.S. mainstream than their social and economic integration. 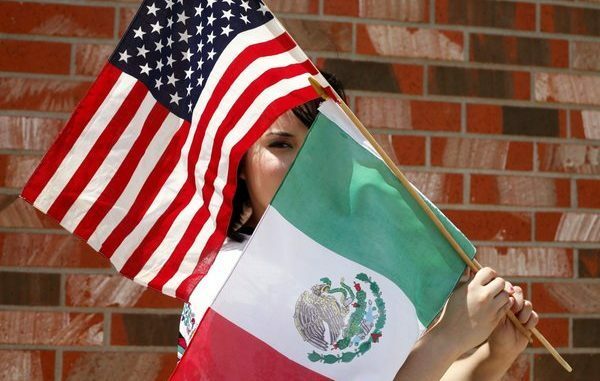 But if third and fourth generations of Mexican-Americans feel cautious about their Mexican identity because it may threaten their middle-class status and assimilation, especial among Republicans, it means that other groups can use that against them to further suppress and prevent any cohesive Mexican-American Republican voting bloc. Perhaps with the stabilization of Mexico’s economic and the fact that, in terms of their GDP, Mexico now ranks just ahead of South Korea as 14th largest economic in the world. In 2014, the Mexican economy grew faster than Brazil’s—and will do so again in 2015. Therefore,, Mexican-Americans need to rethink their outdated picture of life across the border, and see the mutual benefits of a strong Mexico. Similarly, fewer Mexicans now move to the United States and potential illegal border-crosser has plunged to its lowest number in 40 years. Also, in the 1960s the average Mexican woman had seven children, she now has two. 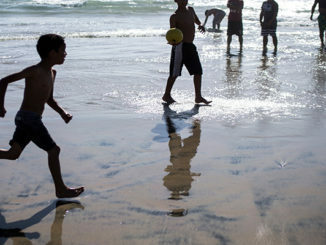 Within decade Mexico’s fertility rate will fall below America’s. In other words, there a lot of things to be hopeful about Mexico in the near future. The economic success of Mexico is good news for Mexican-American in the U.S. And they can use it to build political clout and to heighten their own culture the same was Irish and Jews did it , will be up them. Ireland and Israel were not build out ethnic timidity, or cultural insecurities, they are nations created out American ethnic revolutionary ingenuity and Anglo-boldness. So what bold step will Mexican-American take to help Mexico? 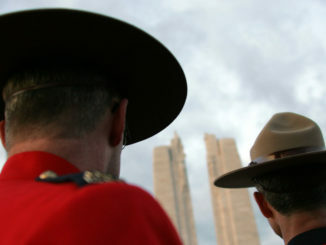 And Even if government does bring the entire nation of Mexico into a middle-class nation in a generation with all the technological advancement and the U.S. and social safety nets of a modern western European nation, if Mexican-Americans do not become culturally cohesive, they will continues fail to increase their influence and will fall short in capitalizing their large numbers. AIPAC and the “Irish bloc” built their High Culture and political organizations by embracing their culture, religion, and comradely with their homeland, and thus, built stronger ties. Who Is And What It Takes To Be A “Hispanic Candidate”?